A lover of modern art, Marni's Creative Director Francesco Risso knows that clean, graphic designs can often make the biggest impact. 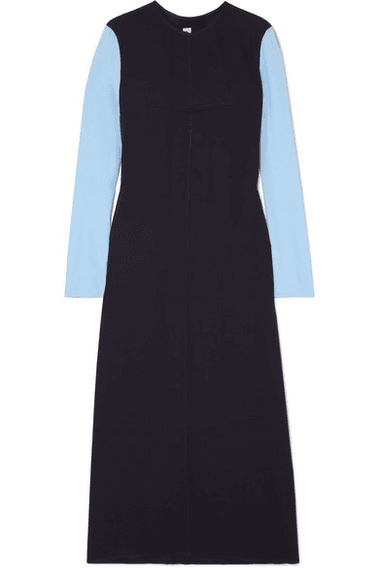 This simple maxi dress is made from navy crepe with the sleeves a paler and more lightweight crepe de chine. There's a surprise when you turn - a row of shell buttons with a beautifully iridescent glow.